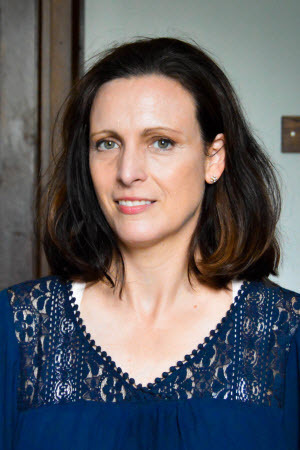 Tabitha Sparks, Associate Professor in the Department of English and Associate Scholar in the Social Studies of Medicine, was recently appointed Associate Dean of Research and Graduate Studies in the Faculty of Arts. In this role, Professor Sparks will oversee and manage all matters related to research, prizes and awards, and graduate and post-doctoral studies in the Faculty. Professor Sparks was the Director of Graduate Studies in the Department of English from 2015 to 2017. In 2017-2018 she was a Visiting Scholar at Pembroke College, Cambridge (UK). She focuses on the 19th C British novel, narrative theory, literature and medicine, and feminist narratology, and her publications include A City Girl by Margaret Harkness (Ed.) (2017), Victorian Medicine and Popular Culture (co-edited with Louise Penner) (2015), The Doctor in the Victorian Novel: Family Practices (2009), The Brontës: A Critical Companion (Ed.) (2008); contributions to publications including Blackwell’s Companion to the Brontës, Blackwell’s Companion to Sensation Fiction, Women’s Writing, Victorian Literature and Culture, Hektoen, Narrative, Journal of Narrative Theory, Cultural Studies, and numerous edited collections. Her professional experience includes script adaptation for Civilizations V (Firaxis Games) and consulting for the Victorian & Albert Museum (London, UK). She has received fellowships and grants from The Dickens Project, Nines (Networked Infrastructure for 19th C Studies), Emory University, FQRSC, and the NEH. She is the representative for Canada at the Centre for Nineteenth-Century Studies International (Durham, UK). She is currently completing a monograph on Victorian metafiction. We are pleased to welcome Professor Sparks and we wish her great success as she takes on this important portfolio.